Hello friends...Happy Saturday! I am thrilled to be guest designing for the Christmas Card Throwdown Challenge today. 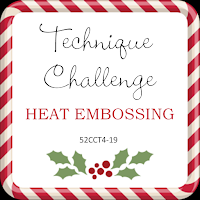 The technique challenge for this week is to use heat embossing on your card...what a perfect opportunity to finish my first Christmas card for 2019! Creative Nugget: Splashes of Distress Oxide colors were added to a mixed media panel before embossing it with the Flourishes Folder from Divinity Designs. VersaMark ink was applied to the Leafy Edged Border and gold embossed. The sentiment from the Joyful Christmas Stamp/Die Duo was also gold embossed on the bottom panel. 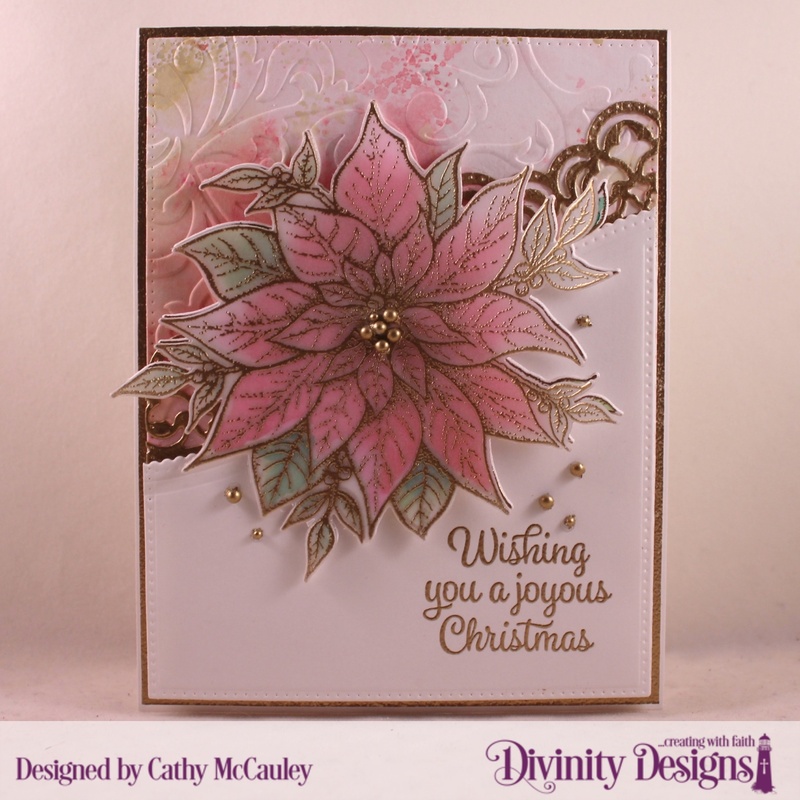 The poinsettia from the Merry Christmas Stamp/Die Duo was embossed and cut out twice...once on mixed media paper and once on vellum. The mixed media Poinsettia was watercolored with Zig Real Brush Markers and the vellum one was mounted over the colored one. I love using pearls and gems as embellishments...they are so appealing to the eye and the great thing about them is that you can emboss them any color to match your project. I hope you were inspired by my card to play along with the Christmas Card Throwdown! Your card is absolutely beautiful! I love it and it is a great card to showcase the new 52CCT challenge! Since my favorite color is PINK! You know I loved this card! I had to save it to my pinterest....Thank you for sharing. Absolutely stunning, I love the colors in the flowers! Beautiful! Thanks for joining us at the ABC Christmas Challenge.